Several golf courses have been build in the last couple of years, and more are planned. The island is on the way to premium destination for ‘golfing heaven’. It’s temperate climate and excellent courses make it a hugely attractive destination. Situated in this five star intercontinental resort and spa 20 minutes drive from Paphos. 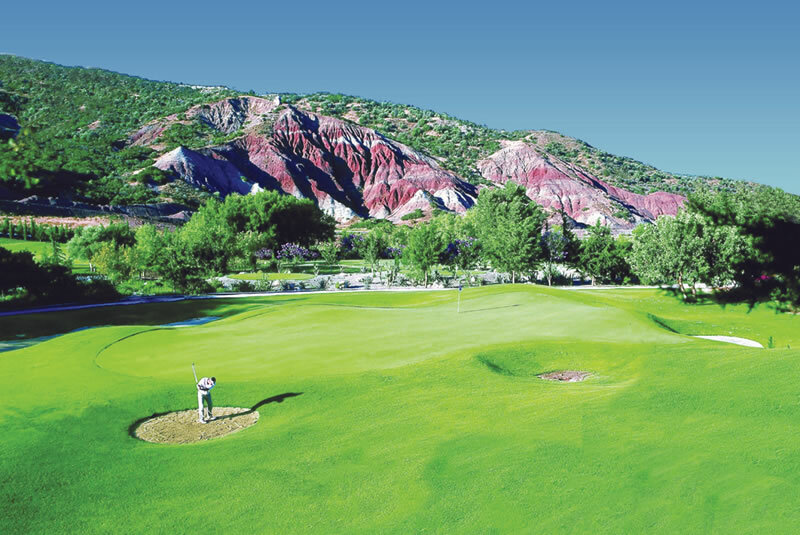 This 18-hole championship course was created by architect Cabell B. Robinson. 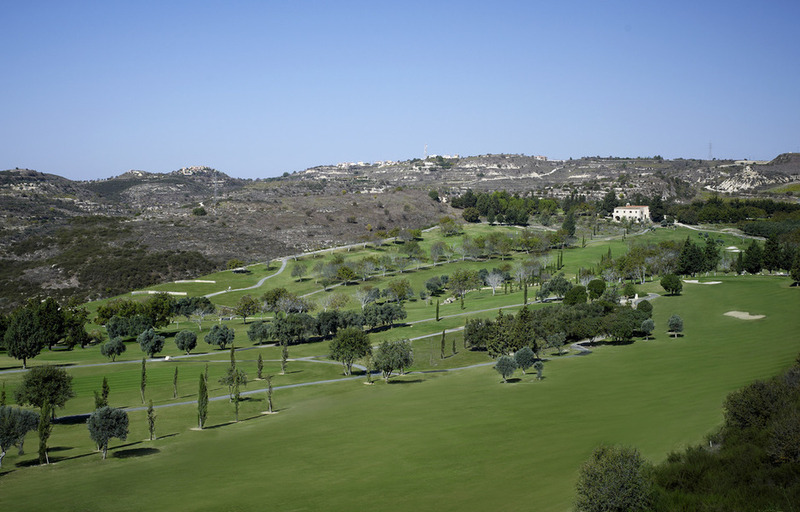 It took Five years in the making and earned the accolade of INVgolf’s award for “Best New Integrated Leisure Resort in Europe 2003.” The fairways are wide Between the trees. The greens are on the large side and you can choose from two sets of tees. It might sound easy but, with a bit of a wind blowing, it can be quite challenging. There is a well stocked pro-shop and lessons are available. Clubs, buggies and shoes are available for hire. The peaceful quiet area and the fascinating views provide the perfect backdrop for a challenging game on fairways that go through ancient trees and water systems . At 550m above sea level it is a place for all seasons. 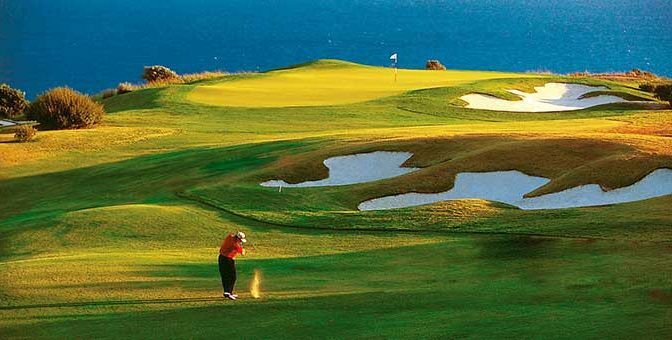 This oldest course in Cyprus was originally designed in 1994 by Donald Steel and renovated recently and bolstered by Mackenzie & Ebert.You can hire buggies, trolleys and clubs. You will need to produce a handicap certificate, 28 for men and 26 for women although players without a handicap certificate can play throughout the summer months. 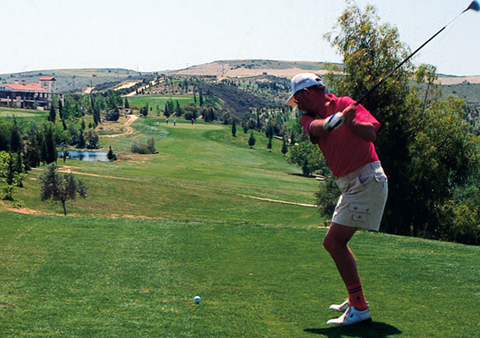 The Secret Valley golf course, designed by Robin Houry, opened in 1992. Unsurprisingly, given its name, it is set in a small valley. You can find marvellous landscaped gardens and amazing natural rock formations. Secret Valley is near the place where legend says Aphrodite the Goddess of love was born, probably better known as the Goddess of Love. You can’t miss it because there are huge signs showing you where to leave the highway between Paphos and Limassol. Facilities include a bar and restaurant, a shop for golf accessories and a golf academy with a driving range and a putting green. Secret valley facilities include a club house featuring a well stocked pro shop, bar, restaurant, changing rooms. Enjoy a relaxing drink on the verandas where you have a great view on this beautiful course. Vikla Golf Course (1992) was designed by Robin Houry. The only golf course in the Limassol area, it does not require a handicap certificate – novices and professionals are all welcome. With 12 fairways, 14 greens and 17 men’s and lady’s tees it doubles up on tees to offer 18 holes. This probably accounts for it being relatively cheap to play – and the cost includes all club hire and balls. You’ll have a spectacular mountain views which makes any waiting more enjoyable. 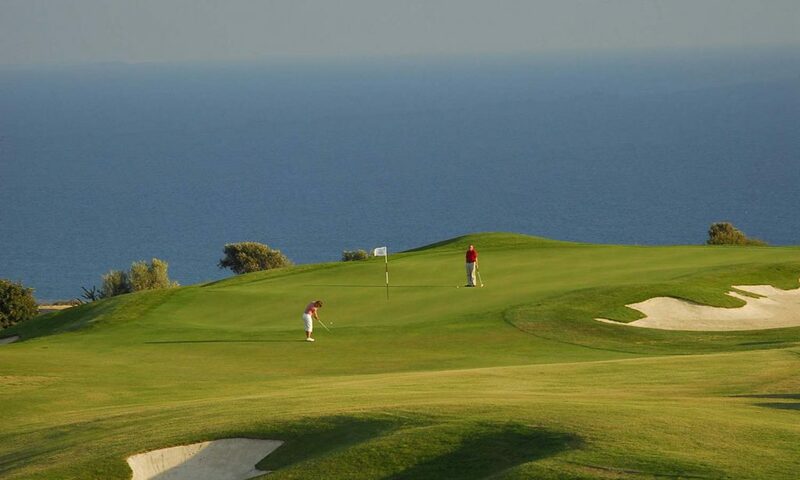 In Paphos you can find the world-class Elea Golf Club. Part of the prestigious Elea Estate. At 6.900 yards from the back tees, the Sir Nick Faldo-designed golf course commands a striking location above the Mediterranean Sea. 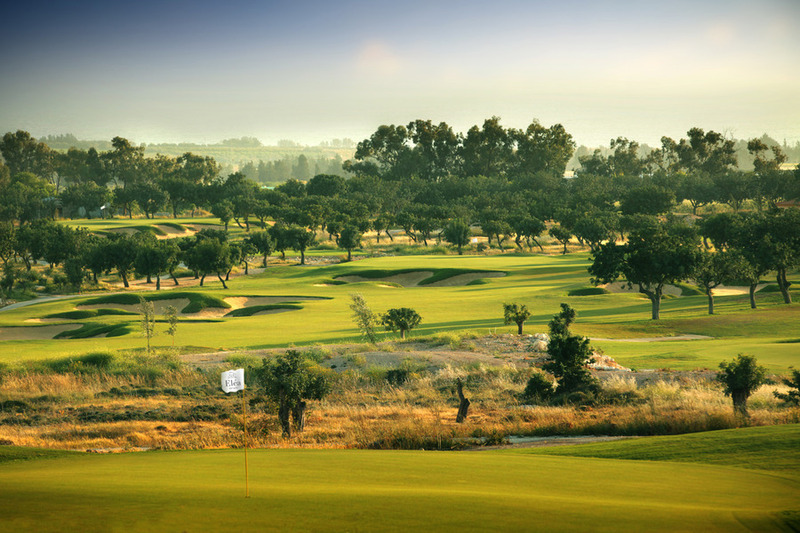 The challenging layout circulates through groves of mature carob and olive trees and the dramatic outcrops of weathered limestone strikingly contrast with the dark green paspalum grass fairways and semi-rough, which on a number of holes are fringed by Mediterranean grasses and an abundance of wild herbs and native flora. It features a full length driving range complete with target greens and bunkers, a short game practice area and a putting green, which commands an imposing location overlooking the whole course.